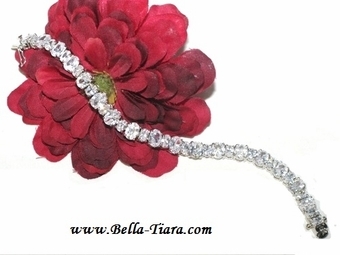 Boutique Elegance CZ Tennis Bracelet - SPECIAL SALE!! 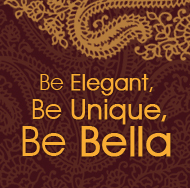 HOME / BRIDAL JEWELRY / Wedding Bracelets / Boutique Elegance CZ Tennis Bracelet - SPECIAL SALE!! 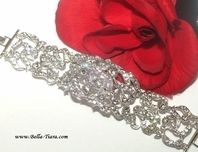 Description: A stunning and silver plated piece accented with cubic zirconias of alternating sizes, this bracelet is a beautiful addition to your classic, modern, or vintage wedding. The bracelet measures 7 1/4" long.